Anyone who's ever seen "Planet of the Apes" or the recent "Rise of the Planet of the Apes," knows this is exactly how it starts. And it's all downhill from here. 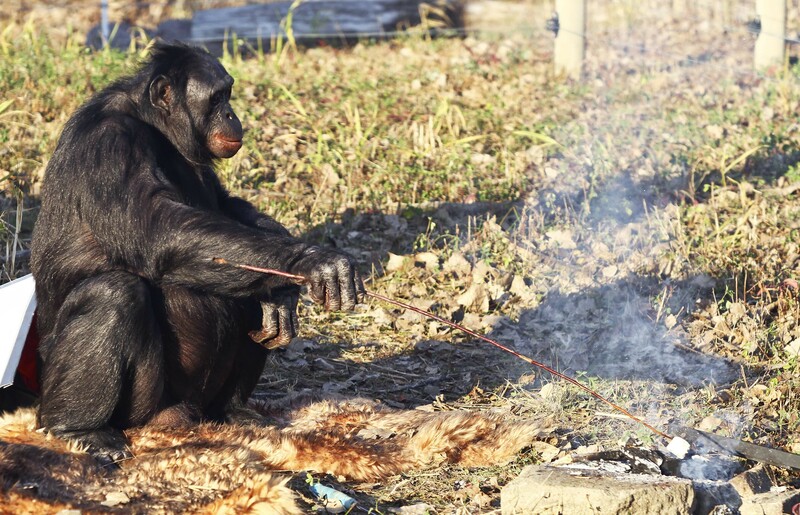 Kanzi, a fun-loving male bonobo, has figured out how to cook his food with fire, the Daily Mail reports. Bonobos are also known as pygmy or dwarf chimpanzees, and listed as endangered on the IUCN Red List due in large part to poaching.  According to the Daily Mail report, this is the first time a bonobo ape has developed this skill, which Dr Savage-Rumbaugh, of the Great Ape Trust, links to early human development. "When humans learned to control fire and to domesticate dogs we began to feel a new level of safety which freed us to become creative and to create more sophisticated cultures," Savage-Rumbaugh told the Daily Mail. Kanzi's skills have also transcended food groups: not only can he cook hamburgers in a pan over the fire, but he can roast marshmallows at the end of a stick, too. The curious bonobo first learned to use fire by lighting matches, which the Mail's David Derbyshire described as "eerie," and "remarkably human." Adding to his short order cook resume, Kanzi also understands 3,000 spoken words and can "say" close to 500 words by pointing to symbols known as lexigrams. This isn't the first time apes have displayed uniquely human behavior. The report "Spontaneous Prosocial Choice By Chimpanzees," published in Proceedings of the National Academy of Sciences, found that the primates are as cooperative as humans, especially when their partners are patient with them. "For me, the most important finding is that like us, chimpanzees take into account the needs and wishes of others," researcher Dr. Victoria Horner told LiveScience following the study. Previous studies have also found that monkeys can doubt themselves, and even show disappointment and regret. And while we're on the topic of human-like apes, who could forget the video of two-year-old chimpanzee Do Do feeding a bottle of milk to his buddy Aorn, a two-month-old tiger cub?